This jade stone had been a gift and had once been made into a ring with diamonds. I was asked to remodel the stones into a piece that could be worn as an everyday piece of jewellery. As the jade had been bought in China, using this as inspiration seemed an obvious direction to take. Auspicious cloud patterns represent the heavens, symbolising luck and fortune, whilst repeated in a pattern symbolises never-ending fortune. 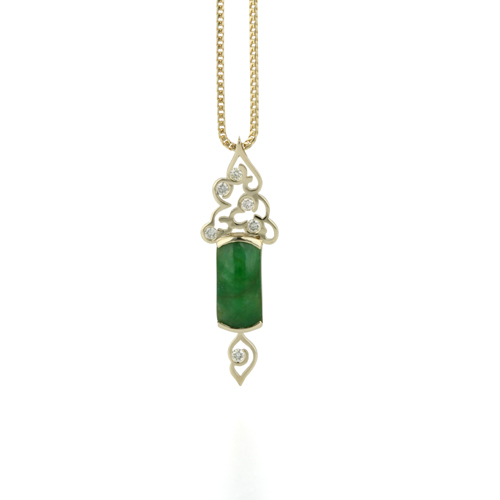 Jade is believed to promote wisdom, balance, and peace.